Former Nigeria vice president and presidential candidate of the Peoples Democratic Party (PDP), Atiku Abubakar has denied listing 30 corrupt persons in president Muhammadu Buhari’s government. Statement was released by Phrank Shaibu, a media aide to the PDP presidential candidate. But the director-general of Atiku’s campaign organisation and former governor of Ogun State Gbenga Daniel said the statement was not authorised by the former Nigerian vice president. “Atiku Abubakar is a statesman and not in the habit of making unguarded and unsubstantiated claims about persons and institutions,” Deputy chairman of the PDP Presidential Campaign Council (South), Gbenga Daniel said. Daniel, who spoke to journalists in Abuja, said the media got it wrong and elevated personal opinions to that of Atiku Abubakar. 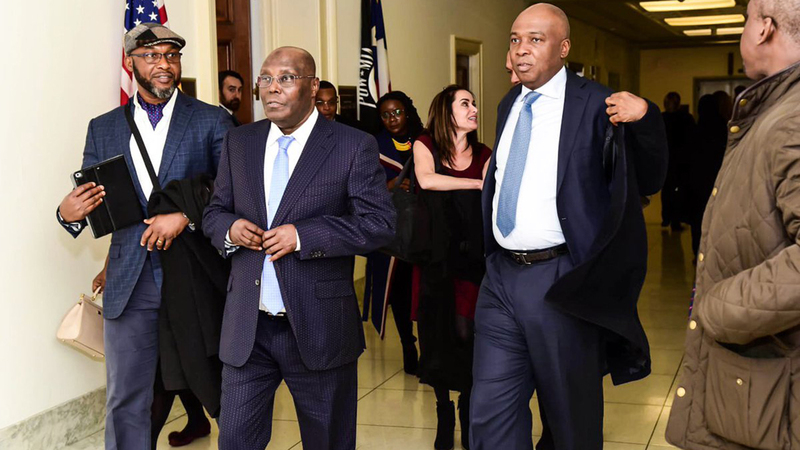 The report came at a time when Atiku was facing stiff corruption allegations by the Nigeria government after his first visit to the United States in 12 years. Information minister Lai Mohammed on Friday, January 18 said Atiku had questions to answer on an N156 million fraudulent transaction at the defunct Platinum Habib Bank (PHB). Atiku and the PDP, however, said he had no questions to answer.